For the 11th year, the UC Davis Graduate School of Management in partnership with Watermark has published the UC Davis Study of California Women Business Leaders: A Census of Women Directors and Executive Officers. The study is an annual benchmark for gender diversity in the C-suites and boardrooms of the 400 largest public companies headquartered in California. Our goal is to drive awareness among corporations, business leaders and policy makers to take meaningful action toward greater female representation. This study is the only one of its kind to focus on gender in the boardrooms and executive suites of corporate California. Our ‘California 400′—including many global brand powerhouses such as Apple, Chevron, Intel, Visa, Google, Hewlett-Packard and Oracle—taken together tally a total stock market value nearly $5 trillion. The study also highlights California’s Top 25 companies with the highest percentage of women leaders, applauding their leadership and advising others to follow their example. Overall, women hold just 12.3 percent of board seats and highest-paid executive positions—a 0.75 percentage point increase over last year. Above the glass ceiling — With 57 percent top female leaders, Williams-Sonoma Inc. has the highest percentage since the study began. Including CEO Laura Alber, four of Williams-Sonoma’s five highest-paid executives are women, and the company has four women on its nine-person board. Eleven of the study’s top 25 firms have a female CEO. The glass ceiling intact — The number of companies with no women in director and highest-paid executive positions dropped to 92, a new low, below 100 for the first time. This is a 33 percent decrease since 2010, showing more women are being appointed to existing or new board seats and executive positions. The largest concentration of these 92 companies (30) are headquartered in Santa Clara County. Corporate boardrooms remain male dominated — Although still low overall, the percentage of women directors in California has risen steadily from 8.8 percent in 2006 to a high of 13.3 percent in 2015. Since 2006, when the study began tracking the largest 400 companies in California, the share of female directors has risen by 4.4 percentage points — incremental, but a 50 percent increase. While women hold 29 more board seats (432 of 3, 260 total), the total number of board seats has increased by 20 since last year, diluting the growth in the percentage of seats held by women. Women do hold an increasing share of nominating, compensation and audit committee chair positions, all of which increased at least 5 percent from last year. Where are the female directors? — Among counties with at least 20 companies, San Francisco County has the highest percentage of female board directors (20.2 percent), and Orange County has the lowest (10.5 percent), followed closely by Los Angeles County (11.6 percent) and Santa Clara County (12.7 percent). Regionally, the Bay Area (14.5 percent) leads Southern California (11.7 percent). Executives on location — Among counties with at least 20 companies, San Francisco County has the highest percentage of highest-paid women executives (15.1 percent), and across the bay, Alameda County (7.9 percent) has the lowest, followed closely by San Diego County (8.0 percent) and Santa Clara County (8.6 percent). Regionally, the Bay Area (10.9 percent) leads Southern California (9.6 percent). Our results highlight the need for greater participation of women on corporate boards and in the executive suites, and to help create these opportunities. 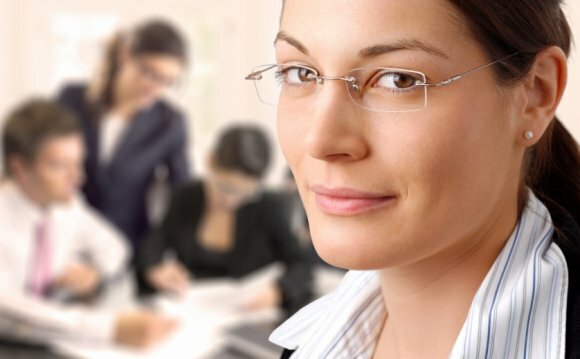 To improve the standing of women in business leadership positions, the Graduate School of Management has a strong partnership with Watermark, a nonprofit organization that offers several pioneering programs to increase the number of women in executive and board roles, and support them in those roles. As a public institution, UC Davis strives to provide information freely and transparently to the public. In that spirit, we share below the raw data used in our 2015-2016 UC Davis Study of California Women Business Leaders, so that they might be used by others to advance this topic.